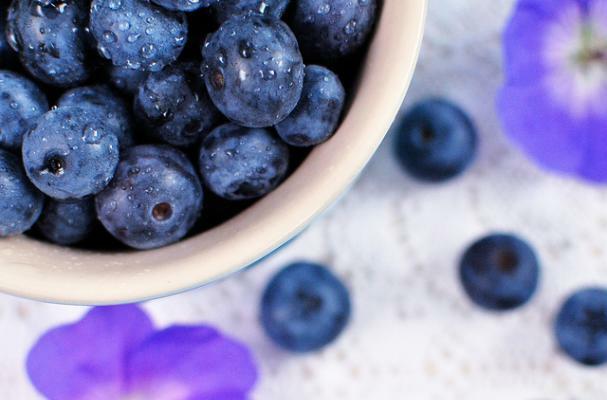 Always looking for something new and different that my little chefs will love, I was excited to try this recipe that used blueberries in a new way. We are lucky enough to get blueberries by the pound up here in Maine. Usually they go to the freezer to eat all winter long, so eating them fresh is a special treat. This pasta salad was shared by a local organization, Healthy Acadia, who is always looking for ways to share healthy, easy recipes with the community. They work hard to teach simple techniques for families to eat better and still use common, local ingredients. Check out this two part recipe. The first, a blueberry vinaigrette, is tart and sweet at the same time. It makes a wonderful dressing for the pasta salad. I use it for lunch boxes and a filling, yet light evening meal. It's beautiful and delicious. In large bowl, toss all salad ingredients. Add vinaigrette. Top with sliced chicken breast.